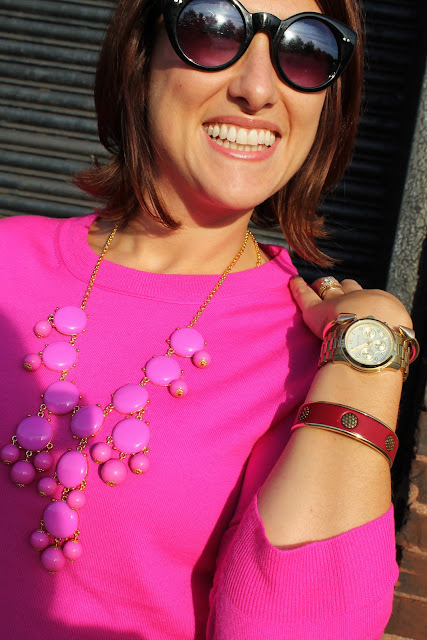 I had seen a few other lovely bloggers pair hot pink and oxblood lately, so I decided to try it out. It's an unexpected color combination that pairs surprisingly well together. 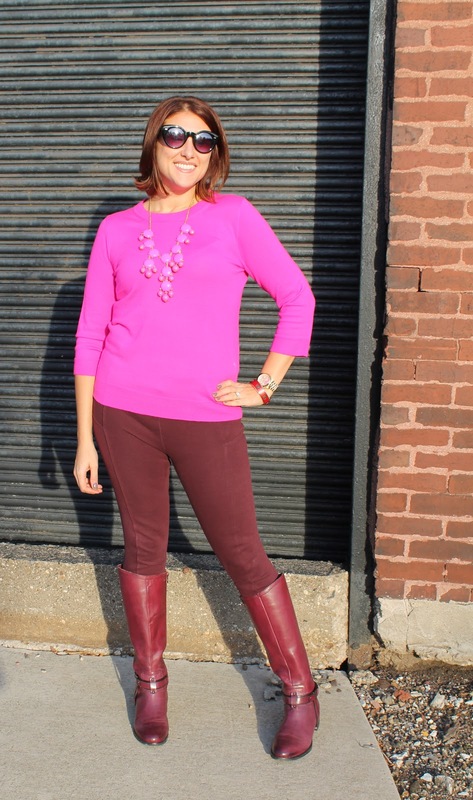 It worked so well I tried each twice, layering the pink necklace on pink sweater and oxblood boots over oxblood leggings. What do you think? Would you try this color combo? Sweater: Tippi from J Crew (same color here), Leggings: Zara (same, but different color options here), Bubble necklace and Spike arrow bracelet: Ebay, Dark pink bracelet: Vintage via Etsy, Boots: Etienne Aigner (buy here from DSW), Sunglasses: Target. it is definitely a color combo that works - I think monochrome looks are so fun. You know I scoured Ebay to find this arrow bracelet like your! Excellent use of 5 dollars!